The tournament will be held at the Fiera Milano stadium in the week between the ATP Masters 1000 in Paris and the ATP World Tour Finals and is mandatory. No ATP Ranking points given. Following a competitive bid process, the ATP has announced Saturday that Milan, Italy, will host a new ATP tournament featuring the world’s top 21-and-Under singles players of the ATP World Tour season. 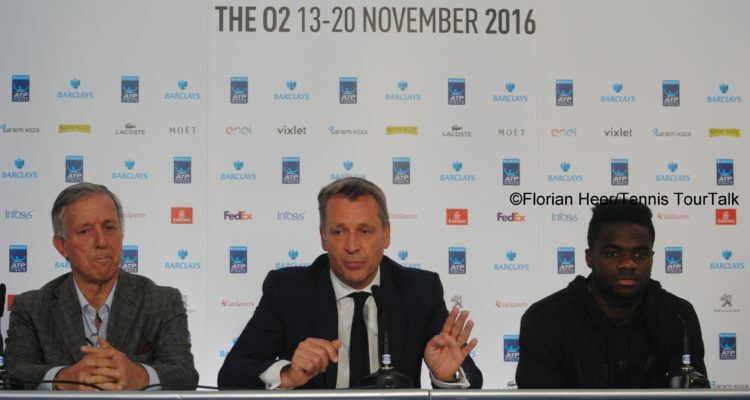 The event, named the Next Gen ATP Finals, will take place over five days at the Fiera Milano stadium from 7-11 November, 2017, and will remain in Milan for a five-year period, through 2021. 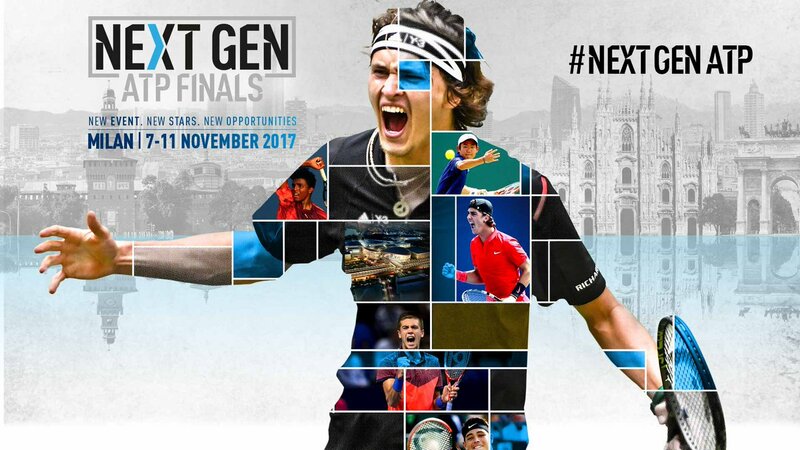 A season-long “Emirates ATP Race to Milan”, starting in January, will see the world’s best up-and-coming talents battle to qualify for the tournament. The Top 7 players in the race will qualify automatically, while the eighth spot will be reserved for a wild card. ATP Executive Chairman & President, Chris Kermode, said: “This is an event we’ve worked on for a couple of years. The emphasis comes from a couple of points. One is we had an idea of we took — everybody in the sport, the ATP, everybody involved, ITF, media, TV, everybody has promoted heavily the sort of top players as the big four for the last 10 years. As a result, we’ve had quite a top-heavy period in our game. Quite rightly, because they’ve won a huge amount of events. The capacity of the venue, which is located in front of the entrance of the metro, will be about 4,000 to 5,000 seats and it will be a singles competition only. The ATP Media is selling the event globally for TV coverage. 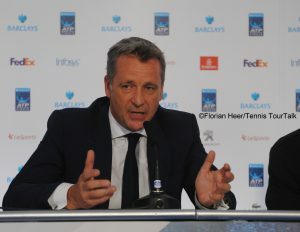 The tournament will trial a number of rule changes and innovations, to be announced in due course, with a view to ensuring continued growth in popularity of men’s professional tennis. The event will award US$ 1.25 million in prize money, and will follow a similar format to the Barclays ATP World Tour Finals, with a round robin group stage followed by knock-out semi-finals and a final. While Emirates ATP Ranking points will serve as the criteria for entry, the tournament itself will not carry points. 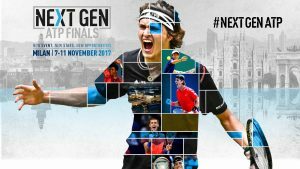 As there will be no ATP Challenger Finals held this season, at this stage the ATP Next Gen Final might be considered as a kind of replacement to this tournament, which took place in Sao Paulo from 2011 to 2015. “The Challenger Finals was a good idea. It never established roots, to be honest. I think this is an opportunity to get a blend of what we were trying to do. It was my predecessors that did that. It’s a blend of a seed of that idea. I think this is going to be hugely successful because it has other elements,” Kermode told. 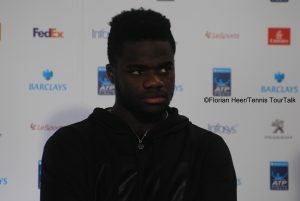 The press conference in London was also attended by Stefan Edberg as well as Frances Tiafoe, representing one of ATP’s NextGen stars. “We’re incredibly excited about the event. Definitely it’s going to be a great event. I want to thank the ATP for everything they’ve done launching the Next Gen. It was a huge deal for us, a bunch of different personalities. I think it’s going to be a really good turnout, really excited for it,” the 18-year-old US-American said. A theoretical 2016 line-up would have been led by Alexander Zverev of Germany, ranked world No. 21. He would be joined by Croatian Borna Coric, Karen Khachanov from Russia, Taylor Fritz, Frances Tiafoe and Jared Donaldson from the United States. Daniil Medvedev of Russia would be the seventh competitor. This entry was posted in ATP Tour, ATP Tour News and tagged ATP World Tour, Chris Kermode, Fiera Milano Stadium, Frances Tiafoe, Milan, Next Gen ATP Finals, Sergio Palmieri.